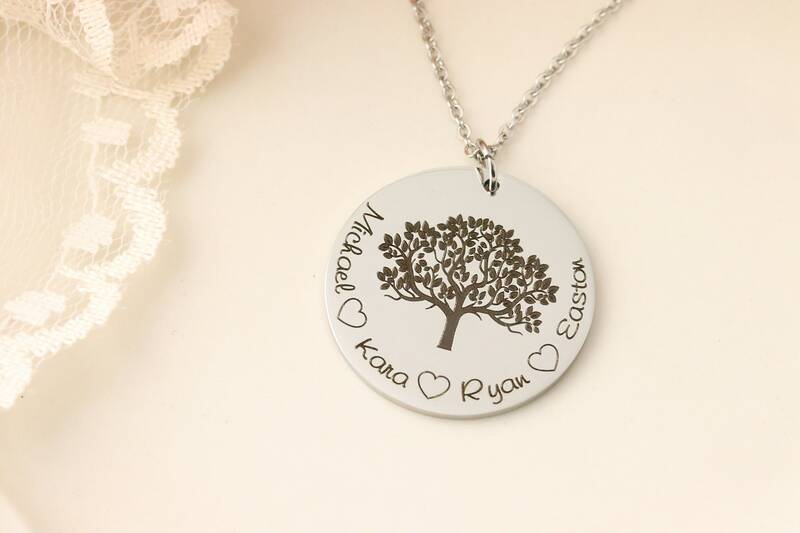 If you are looking for the perfect gift, whether for yourself, a friend, mom, or grandma, look no further than these beautiful family tree necklaces! 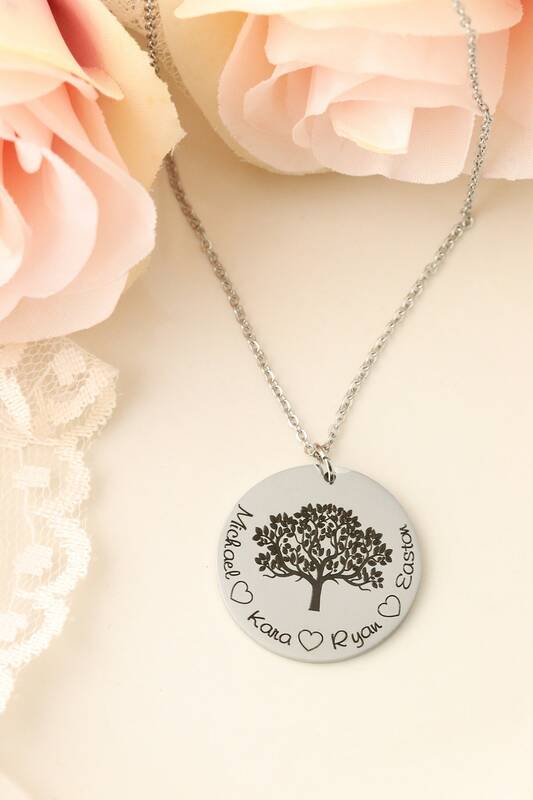 Keep a special reminder of your loved ones close to your heart at all times with this charming hypoallergenic stainless steel necklace featuring the names of loved ones! 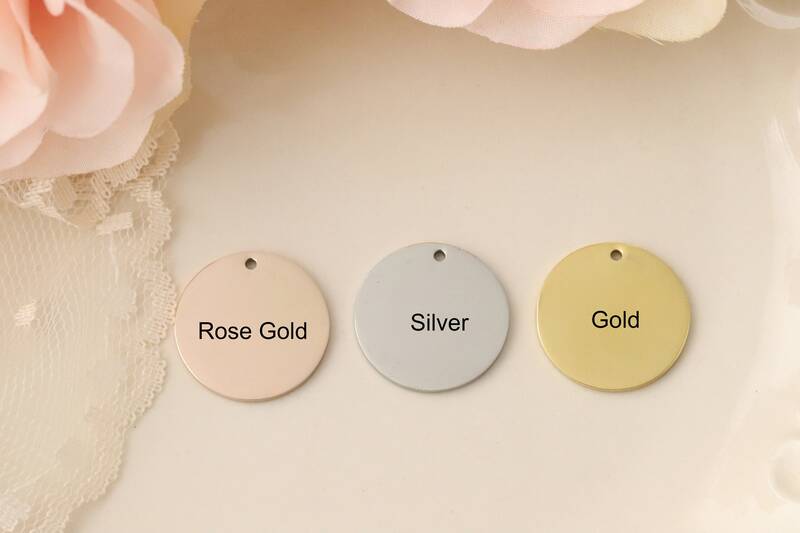 The name(s) have been precision laser engraved, along the edge of a 1.15" pendant, and will come on an 18" chain. Each pieces is handmade, right here in my studio. The charms, bangles, and chains are all composed of HYPOALLERGENIC stainless steel, either in a highly polished, mirror finish stainless steel (silver), or 14k Rose Gold Plated stainless steel or 14k Gold Plated Stainless Steel. These will not rust or tarnish, or turn your neckline green. It is also a wonderful option for those with sensitive skin! Please leave the personalization information in the personalization area, and any additional details in the "notes to seller" at checkout. You can refer to the listing picture above to see where this is done. The font size will be adjusted for the number of names you would like -- less names = larger letters, more names = smaller letters. Please refer to the font chart shown in the listing for all characters. Almost ANYTHING personalized that you can dream of! Just send us a message!